Paris Saint-Germain fans and pretty much everyone around the world will have been stunned by Eric Choupo-Moting’s ridiculous miss last night. As you will no doubt have seen by now, the former Stoke City man pretty much stopped the ball on the line when it looked easier to simply tap home for PSG against Strasbourg. 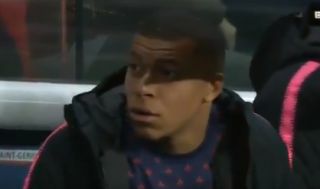 You can see the bizarre incident again in the video clip above – with the bonus of the hilarious reaction of Kylian Mbappe, who looks like he’s seen an alien. The Frenchman, we imagine, could have put away a chance like that with his eyes closed, so one can only imagine what he was thinking when he saw his team-mate mess this up.